One of the things I say in Introverts in the Church is that introverts often make good therapists and counselors. I wanted to explore that in more detail and to do so, I sought out an introverted therapist. Kristi Cash White is a licensed therapist in the Portland area, where she has a private practice and also teaches Human Development at Warner Pacific College. I have never met Kristi, but we have interacted in the introvert way - through social media. When I saw that she included "introvert" as part of her Twitter profile, I knew that she was the right person to interview. And she even has a question for all of of you at the bottom. Adam: I think a lot of people might assume that therapist is an ideal vocation for an introvert. Lots of one-on-one interaction, lots of listening and deep conversation. Why are those people who assume that right? Why are those people wrong? Kristi: I have more often had the opposite assumption stated to me -- how can an introvert be in a job that requires talking to people all day? This kind of statement comes from misunderstanding, both of the role of a counselor and, more importantly to this blog, the traits of an introvert. 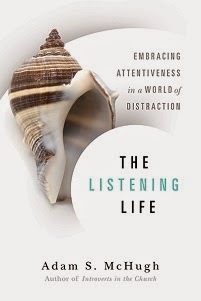 A counselor does spend the day with people, but it is so much more than just talking --or just listening either, even if that aspect is a more comfortable role for the introvert. It is a relationship -- a relationship built on trust. If I were to look at my day in view of the number of words I would have to speak or the number of minutes I would have to be listening, it would be daunting, no doubt about it! But I am spending time with people for whom I have genuine concern and empathy. I desire to see each more healthy and am honored to be a part of the process. As an introvert, counseling is not just "spending all day with people" either. That statement is based in the faulty, but all too prevalent, thought that introverts do not like people! On the contrary, introverts love to really know people, to get past the surface and build true, genuine relationship. Adam: What strengths do introverts bring into a therapeutic setting? How does your introversion help you with your clients? Kristi:There are so many aspects that go into the choice to become a counselor that whether one draws energy from crowds or prefers solitude may play a small role in the overall picture. There are some great advantages that an introvert brings to the table, though. Introverts are generally good listeners. We talk less and listen more. It is quite natural for us to be the ones who ask questions and deeply and intently listen to the answers. Although I know many great extroverted counselors, there has been times that I have wondered how they keep their talkative natures in check! Introverts are processors. We often are able to take what is said and thoughtfully summarize or clarify. We take time with the topics at hand and feel no compulsion to rush ahead. This can be very helpful when working with a hesitant client. The pace of counseling is generally a good ﬁt for introverts. It is a quiet, relaxed atmosphere, free from sensory assaults which can overload an introvert. There is space to think, even in the way that there are days inbetween sessions in which the introverted counselor can continue to process client discussions. Unlike my job as a professor,which, although I greatly enjoy, thoroughly drains me, I am energized after I have spent time with clients. Introverts often exude a calm steadiness, which is extremely beneﬁcial to clients who are feeling anything but calm and steady. There is a consistency in tone and manner. Adam: What is the hardest part about being an introverted therapist? Are there times you have been misinterpreted because of your introverted tendencies? Kristi: Marketing seems to lend itself more to the extroverted personality. It is very challenging is an introverted counselor to "sell myself", to make the calls, face-to-face contacts, and all that is necessary to keep a practice running strong. Frankly, I loathe this part of my career! I am not aware of how my introvertedness has impacted clients in any negative way. 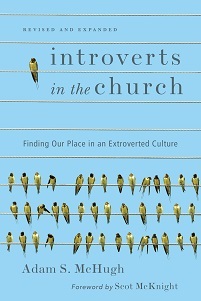 The times that my introverted nature has been misinterpreted has generally involved group settings, such as graduate school and, a big surprise for you, Adam, church! Adam: What are the secrets you've learned in order to thrive as an introverted therapist? Kristi:I think of people as having batteries. Some people have naturally full batteries; they are able to jump into a party or go for a hike or dance the night away at the slightestinvitation. I have always considered myself, as I think might be the case with many introverts, to have a battery that generally hovers around half full. I can charge that battery, but it will not ever make me a bundle of bubbling energy -- that's just not how I'm wired. On the other hand, it is easy for my energy to be sapped. More often than not I feel tired. As an introverted therapist, I have to be very aware of my energy level so that I am able to give my clients the full attention they deserve. As an introverted therapist, it is vital that I closely monitor my schedule. Where and when am I going to need breaks? How many clients can I see in a day and still fully give my attention and energy? Is there a time of day when I have more mental and physical strength? Do I have something scheduled outside of my practice that is going to potentially drain me the evening before or something for which I need to reserve my energy - meetings, parties, teaching, or other group events? Adam: Totally unrelated question: My blog readers and I have kicked around the idea that the farther north you go, the more introverts you get by percentage of the population. I grew up in Seattle and I'm convinced there are many more introverts there than there are in Southern California, where I live now. You live in Portland - what do you think of my geotemperamental theory? Kristi: Geography deﬁnitely plays into personality type, as different cultures value particular traits over others. The Scottish culture (my familial heritage) honors strength,independence, and the honor of the clan. The Japanese culture embraces peace, quiet,respect. America values youth, beauty, energy. I had not previously considered how it may break down further within the subcultures or geographical boundaries within our country, but it seems entirely plausible that it would. I wonder if it is not so much that there are actually more introverts in the North, but rather the cultures of the North may tend to accept introverted tendencies more than Southern cultures (although I deﬁnitely feel that I live in an extroverted world, even here. One of the reasons I LOVE the Northwest is the cloudy, rainy weather. The grey coverage feels like a giant comforter nestling over our great city. This weather works for an introvert. I do have a solid number of introverted friends and acquaintances; we embrace our personality type! After last year's Super Bowls parties, when many of the overloaded introverts left before the end of the game, I suggested that this next year we have an introvert-only party! What do your readers suggest would be the perfect introvert party?